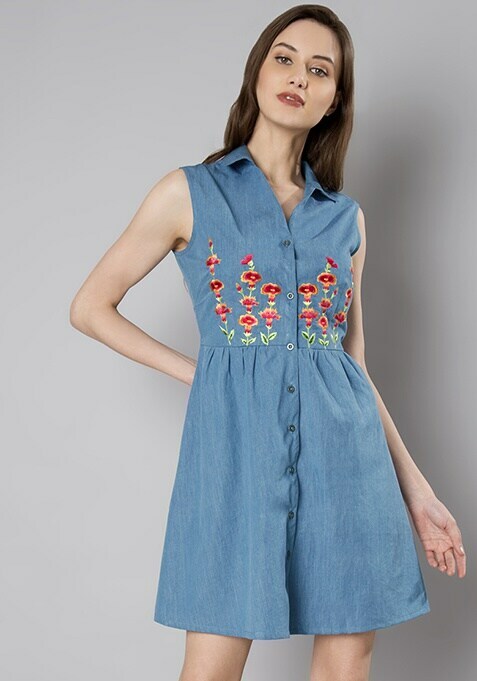 Give your look an all-in-one update with this denim shirt dress. Features embroidered details. Work it - Go for high heels and messy hair.